Jason started part-time with Henrico County in 2014 as a sports facilities operator before moving into a full-time role with the youth and adult sports section. In 2016, he moved into a supervisory role within that section and is now in his current role with the tourism section of the department. 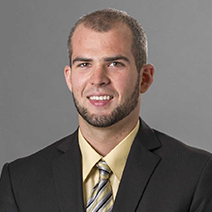 Prior to his time with Henrico, Jason attended the VCU Center For Sports Leadership, a Master’s level sports administration program, where he also worked as a graduate assistant in the VCU Ticket Office. For undergraduate, Jason studied Health and Physical Education at Lynchburg College and was also a member of the baseball team. He is originally from Long Island, NY.